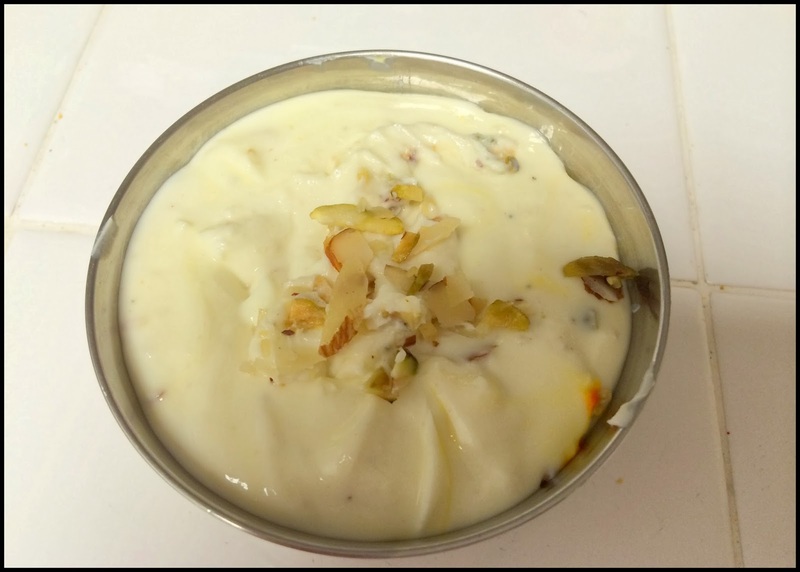 Srikhand, the popular Gujarati cuisine made out of hung yogurt is a delicacy one would not want to miss. The yoghurt preparation is what makes the simple process into a little strenuous one. However when you taste the sweet, you sure would not regret. Green Apple – 1 no. Take yoghurt and fine grained sugar and mix it. Add the diced green apple and cinnamon powder and mix well. Keep this in fridge for atleast 45 minutes. On the walnuts pour some caramelized sugar and allow it to cool down. Now serve it in the glass by garnishing with thin sliced apples and sprinkle the candied walnuts on the top.